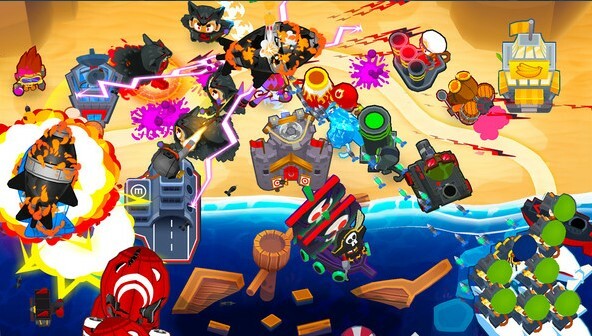 Action game in the style of "defense of the fortress"
The balls are back and better! Play a three-dimensional game in the "defense of the fortress" genre, where long hours of strategic battles await you. 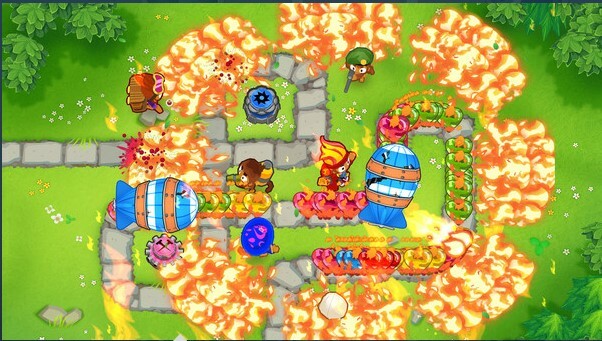 Create the perfect defense with a combination of monkey towers, upgrades, heroes and activated abilities to destroy any ball that appears on the horizon! 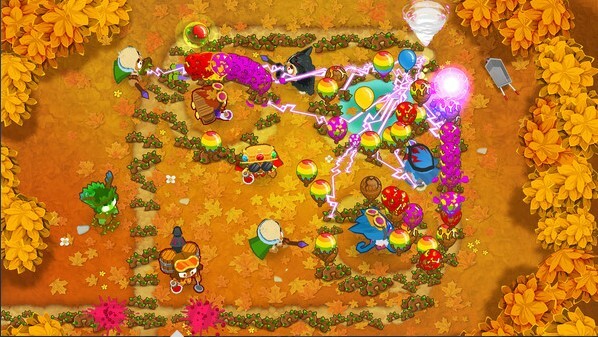 * 20 mighty monkey towers and 2 new monkeys: the druid and alchemist! * Upgrades to level 5: they are so powerful that only one monkey can have them. * Play anytime, anywhere - a single game without a network connection works even without Wi-Fi! * New insidious balls: purple, fortified and indestructible B.A.D. * At each level of difficulty, new game modes have appeared: limited monkeys, MOAB balls with double life and brutal rules of "Chempanze"